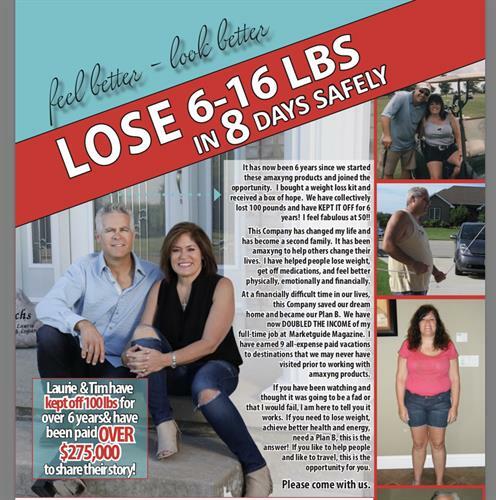 Lose 5-15 pounds in 8 days! Gain Energy and Get Healthy. A whole line of products.Starter kits, transformation kits and individual products. 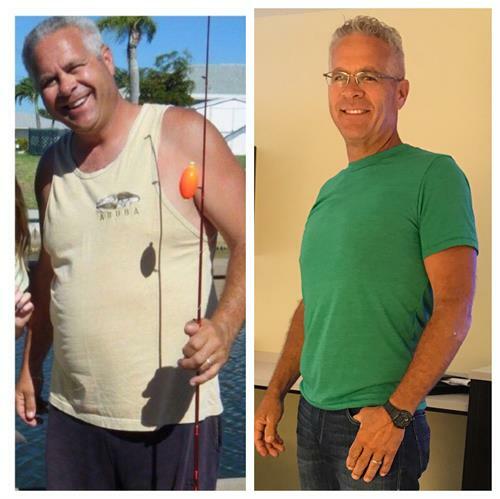 Tim and I have kept off 100 lbs for over 6 years! 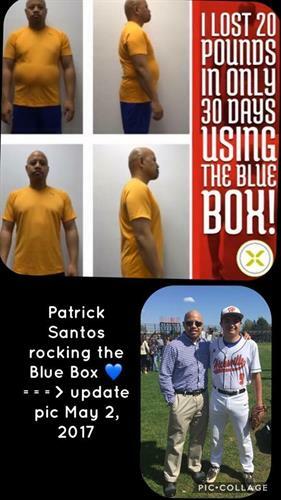 Tim went Trina 42 waist to a 32! No high Bloodpressure meds & feeling great. Meghan is a type 1 diabetic & was able to go down half for her insulin in 1 week!!! 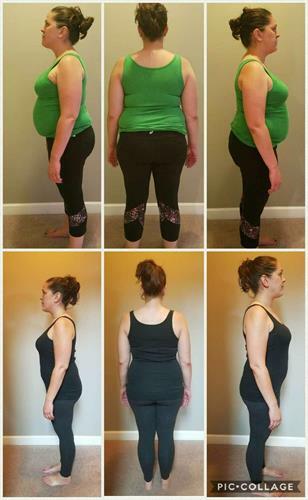 Here are her 30 day results. Jill has rocked the Blue box!! 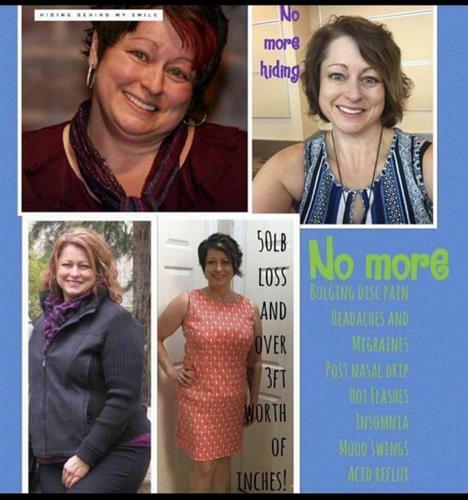 Love the wellness even more than the weight loss. 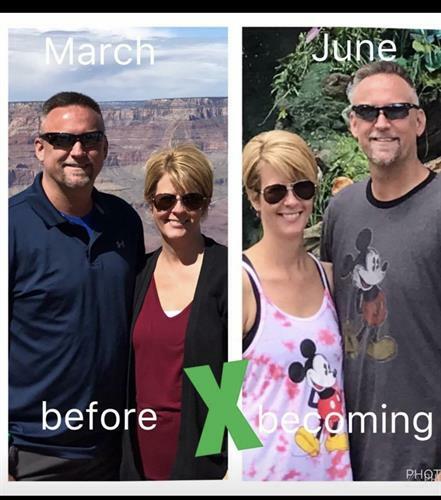 Not only have Bill And Jenny lost weight their migraines and pain are gone. Also Bills acid reflux.